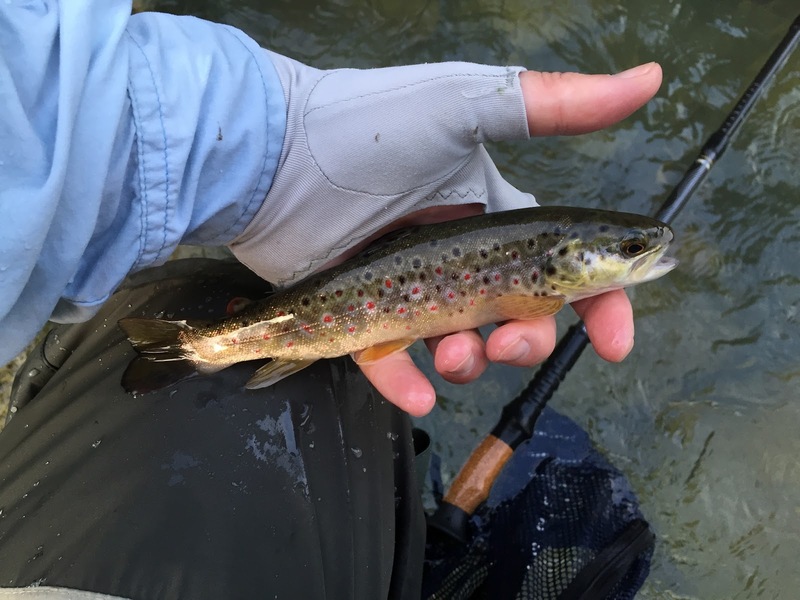 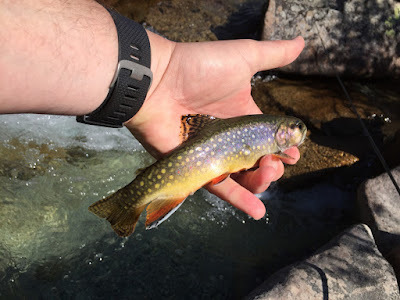 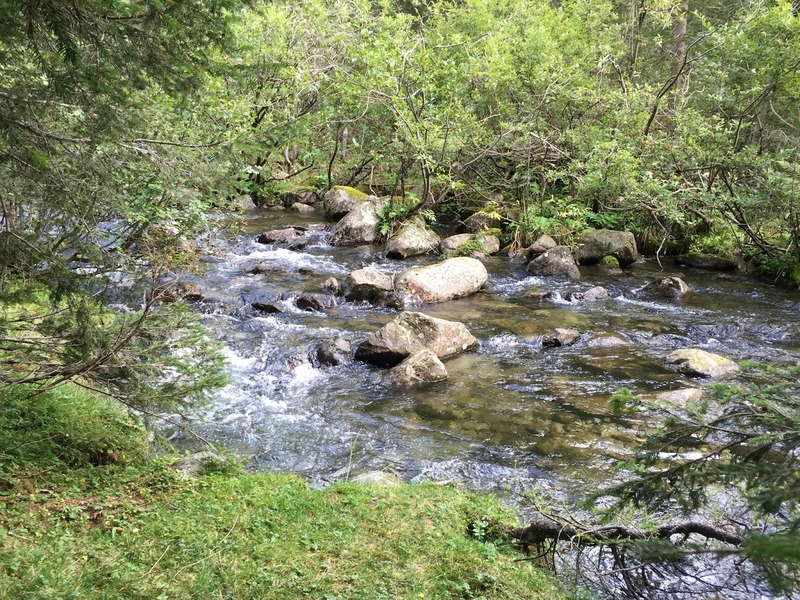 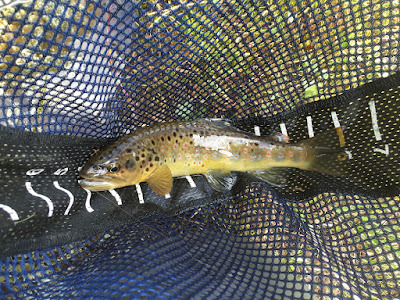 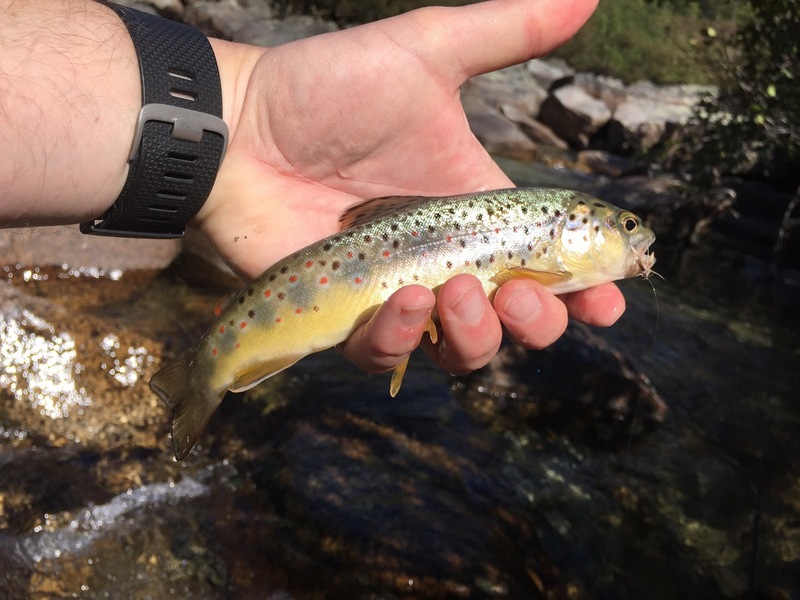 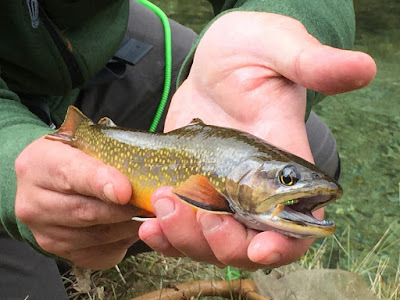 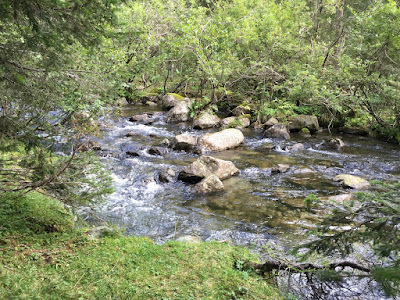 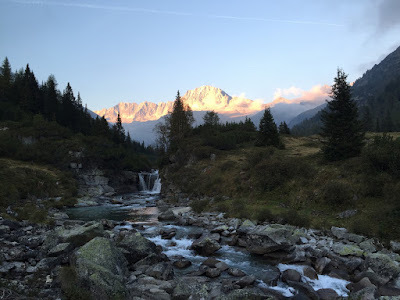 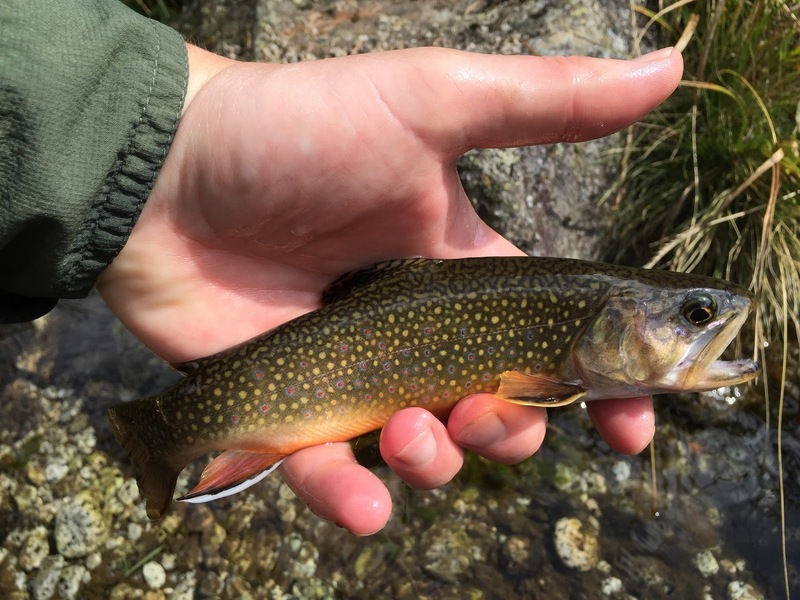 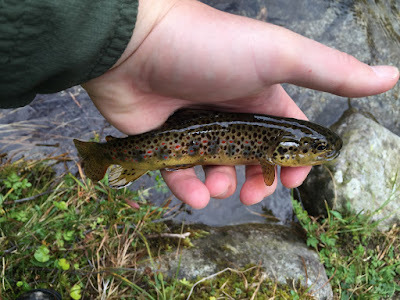 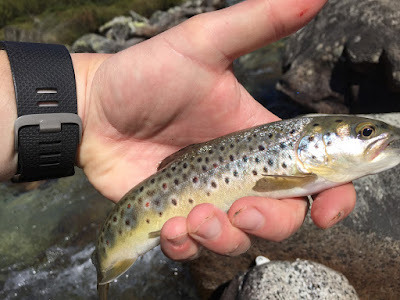 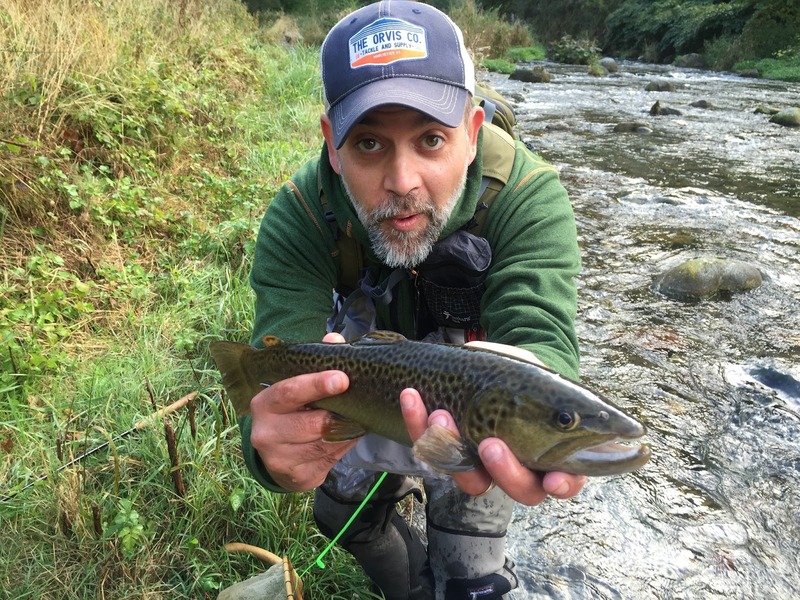 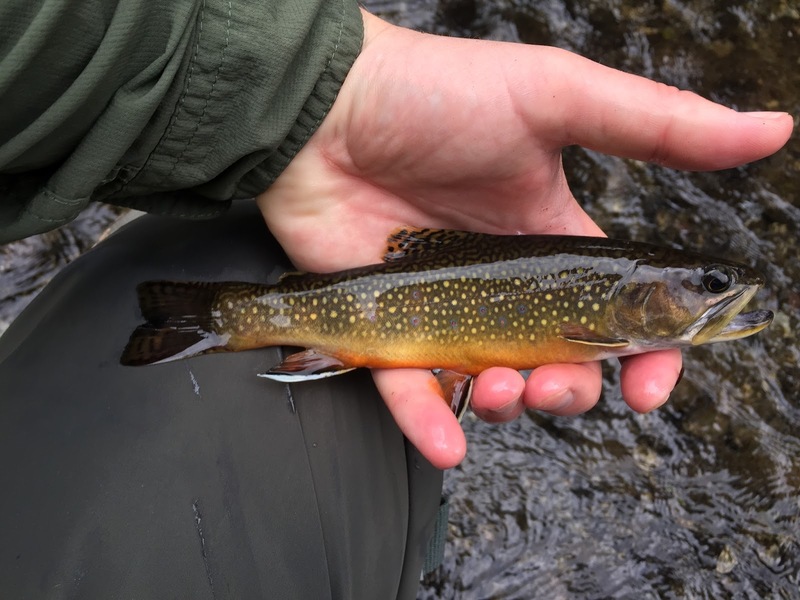 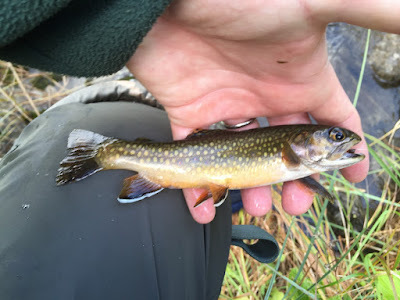 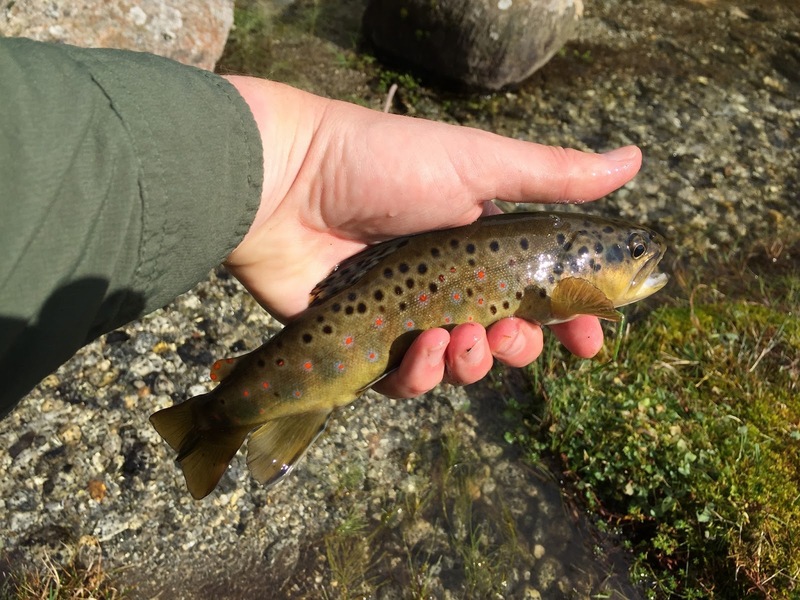 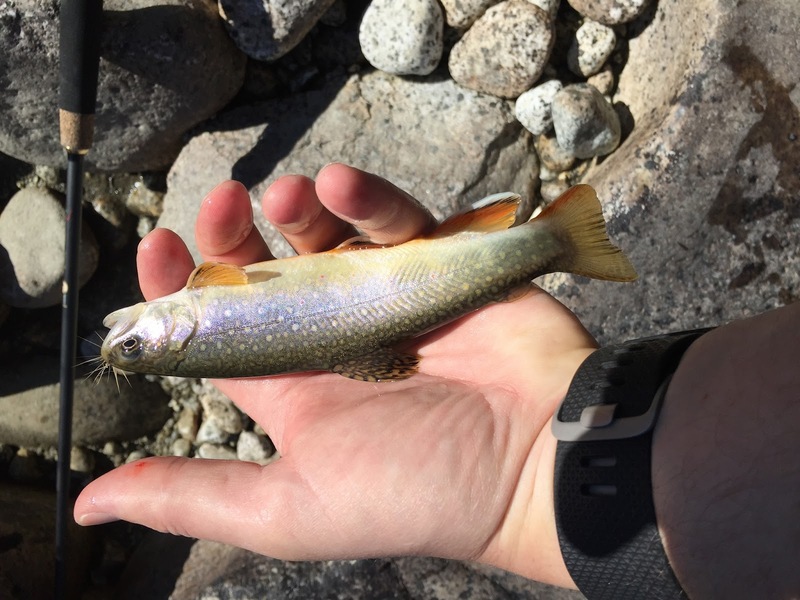 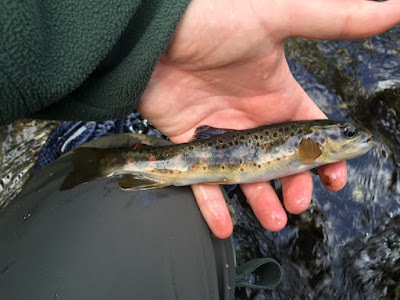 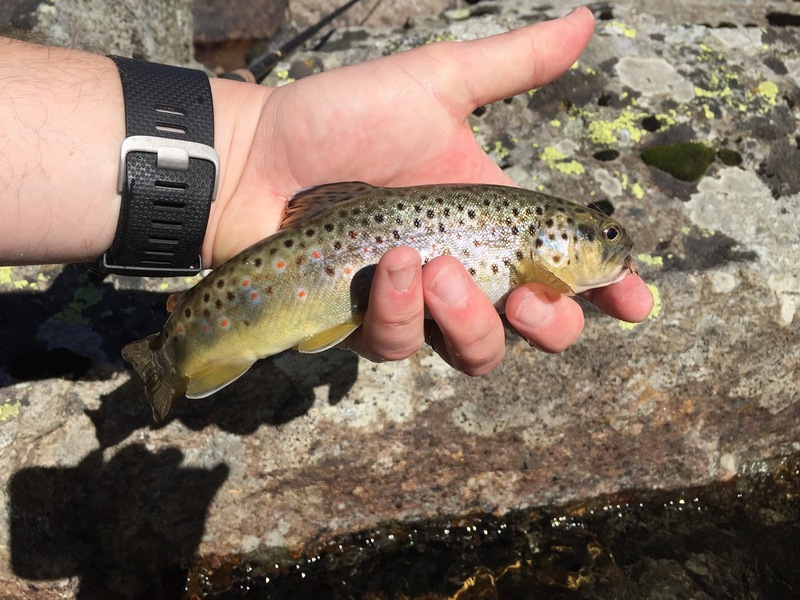 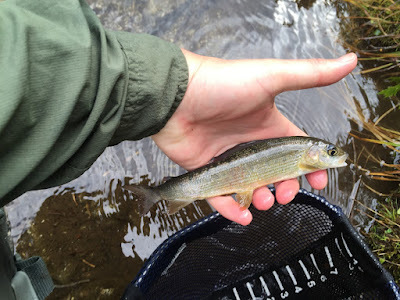 Ever since living in England I have been missing my mountains back in Colorado and fishing the small creeks and rivers that tumble down from way above the tree line down to the Front Range. 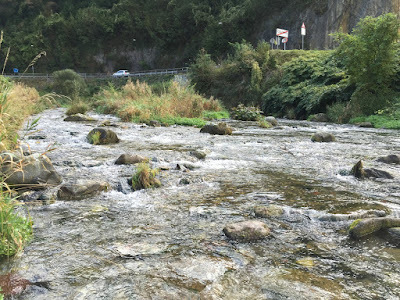 The fishing in those rivers is mainly picking pockets and the fish are often, not always, hungry and willing. 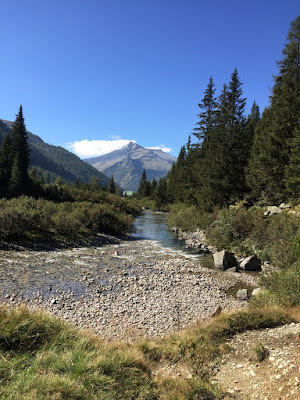 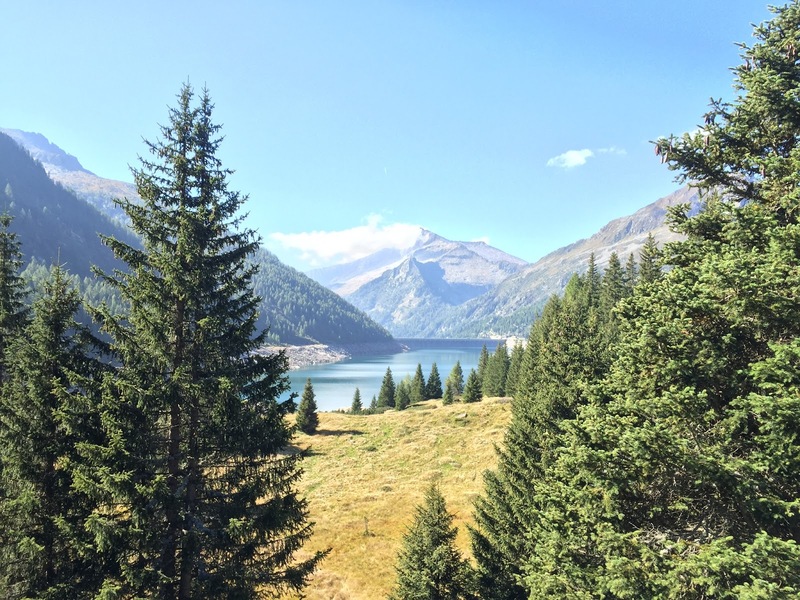 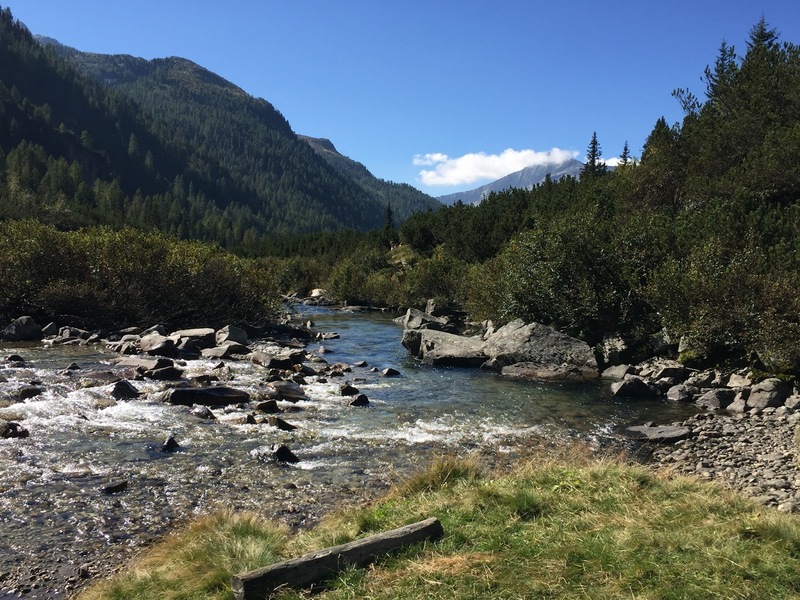 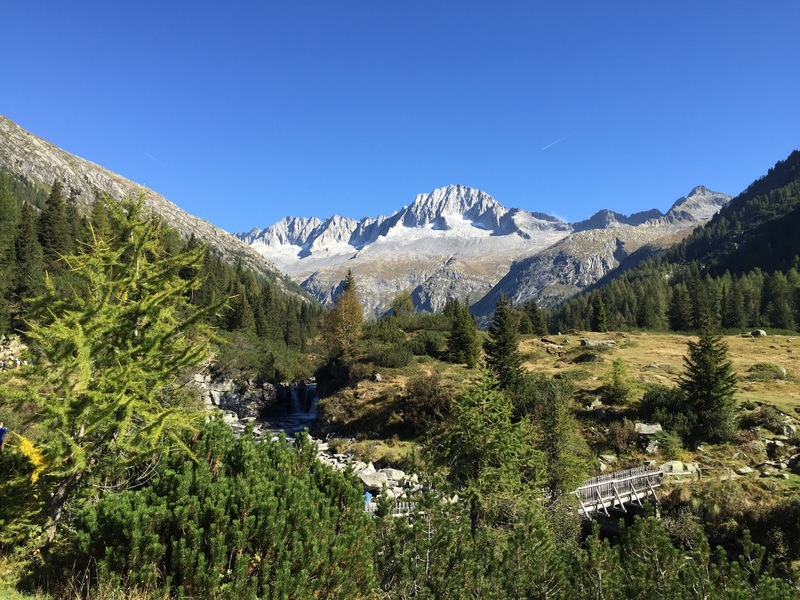 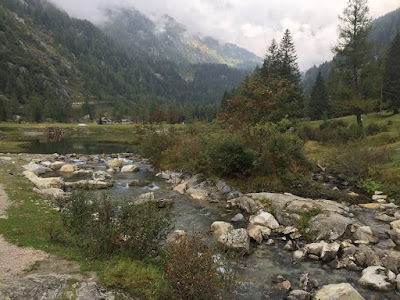 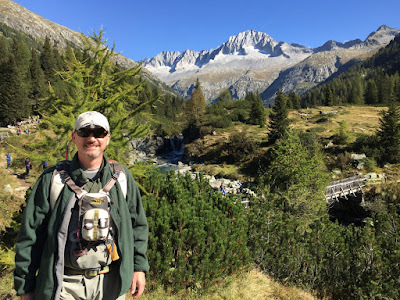 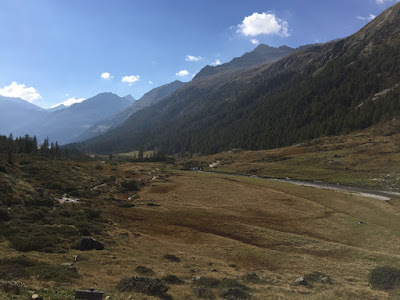 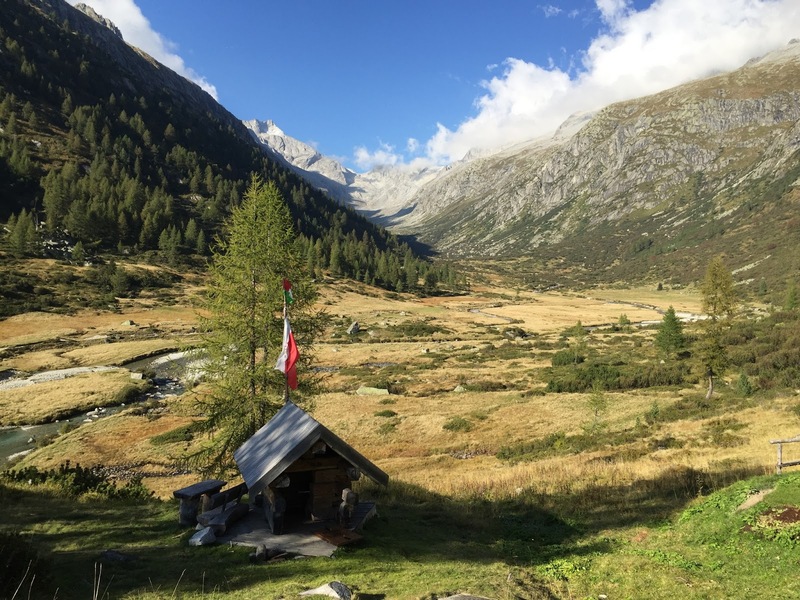 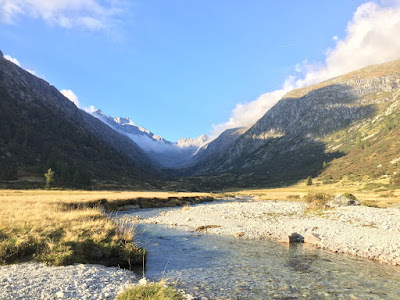 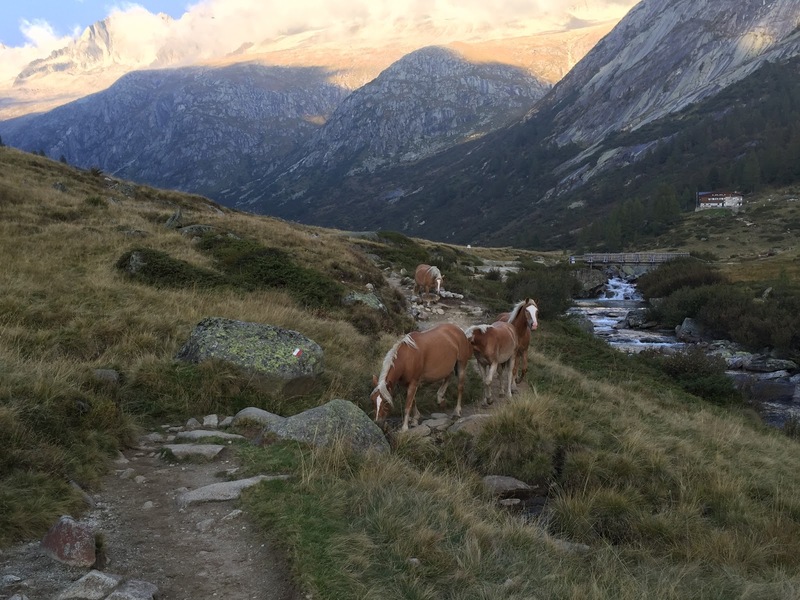 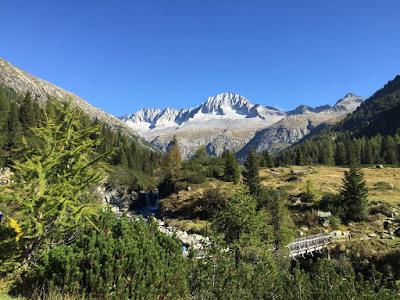 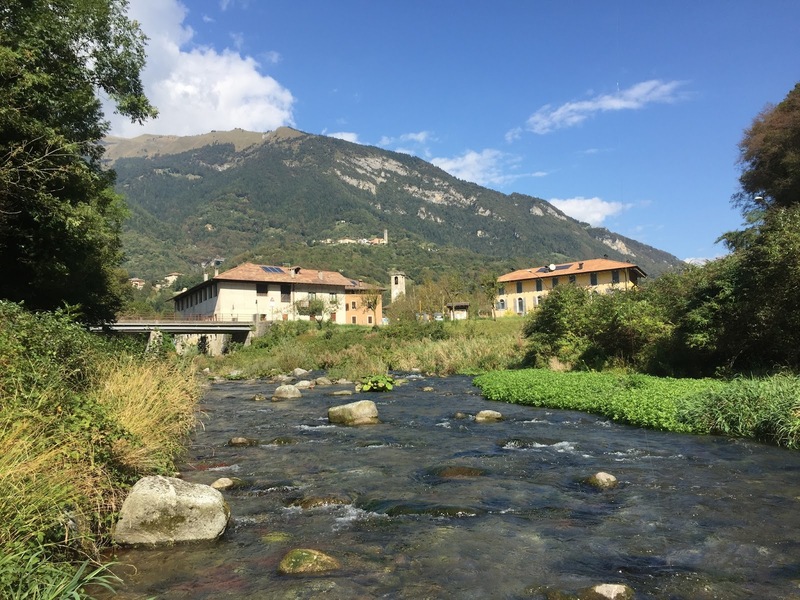 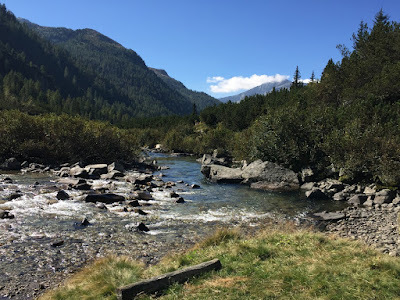 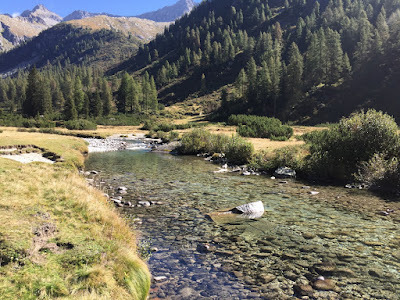 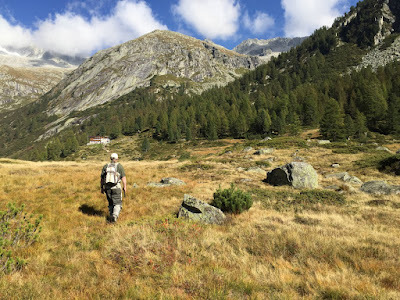 Fast forward a few month and come mid-September, we both were boarding Ryan Air to Bergamo to fish the mountains in northern Italy's region of Trentino. 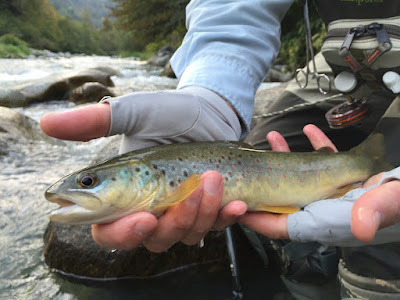 Vito put together a 4 day fishing trip for us fishing some of the most beautiful water I have ever seen (well, after Colorado and New Zealand of course). 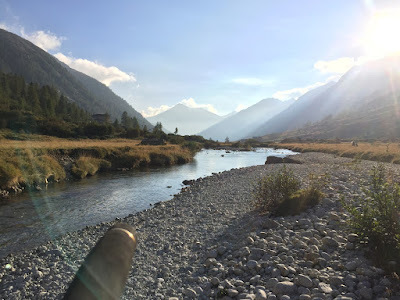 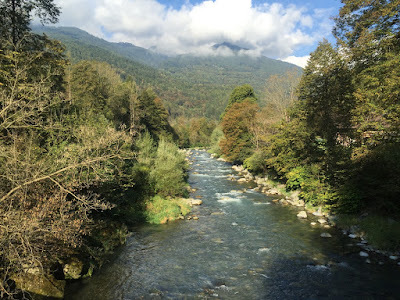 Our first day, for some reason, we focused on the technically most difficult river as we both wanted to get the Marmorata off our list. 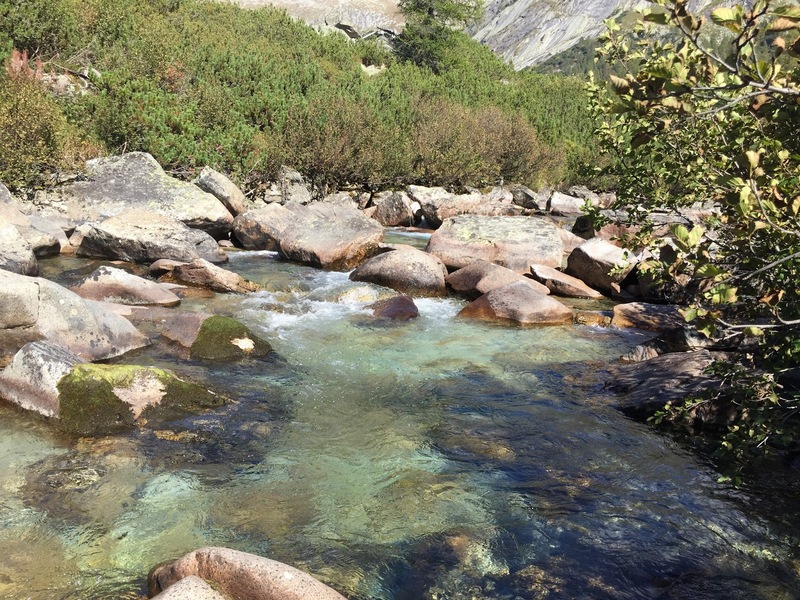 The river was quite challenging - fairly swift water, big boulders, rocks and deep pools. While I instinctively knew what to do, it took me a while though to get into the zone while Vito started catching fish right off the beginning. 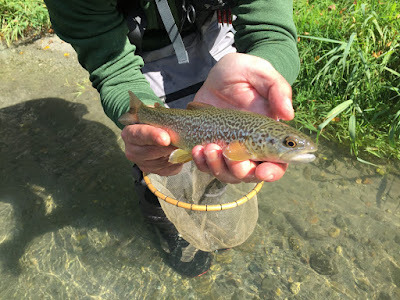 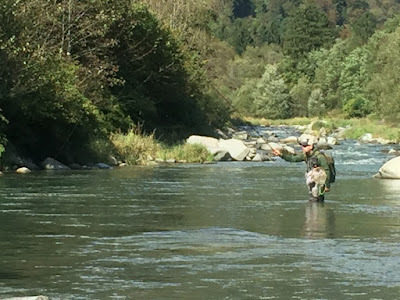 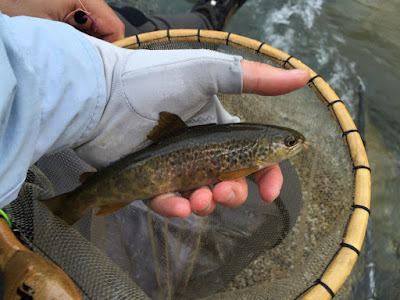 Both of caught a good number of brown trout but no Marmorata, although we strongly believed each fish that got off before landing was one... 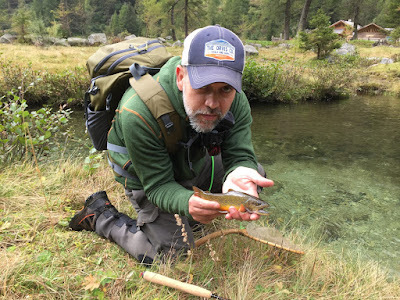 Finally though, Vito landed a beautiful specimen (he argues it was a pure Marmorate although some of our local friends thought it might be a hybrid brownXmarmorata). I didn't get as lucky as him but did manage to land a hybrid. 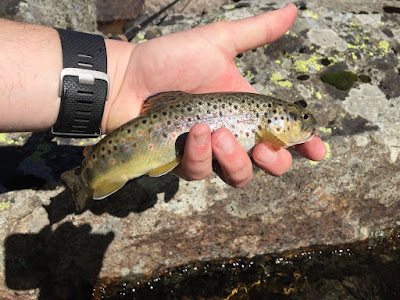 Well, I take it that it's a sign that I need to go back for some more, hopefully soon! Exhausted, we both enjoyed in the local pension a good local meal along with some beer and grappa. 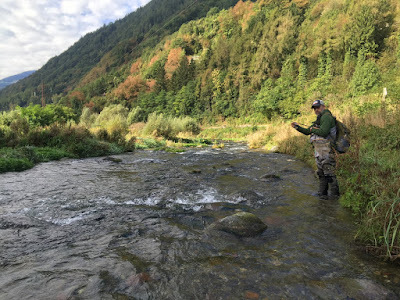 The next day, we fished a beautiful stretch of river between two man made lakes, a place that very much reminded me of Colorado. 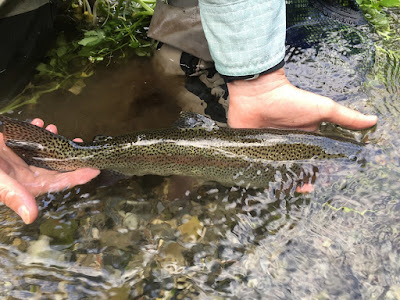 The fish were eager and plentiful, so much that at some point we were just experimenting and playing around, seeing where we could pull a trout out of. 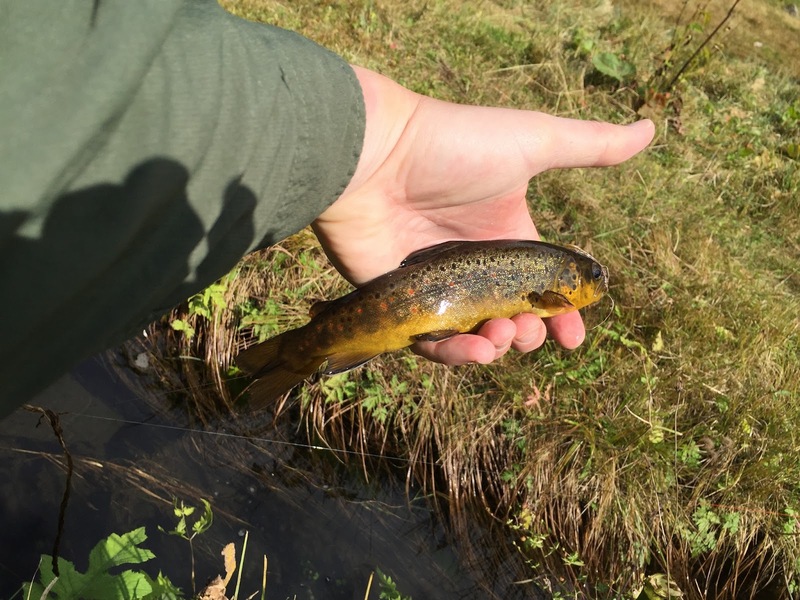 this nice 10" brown trout! 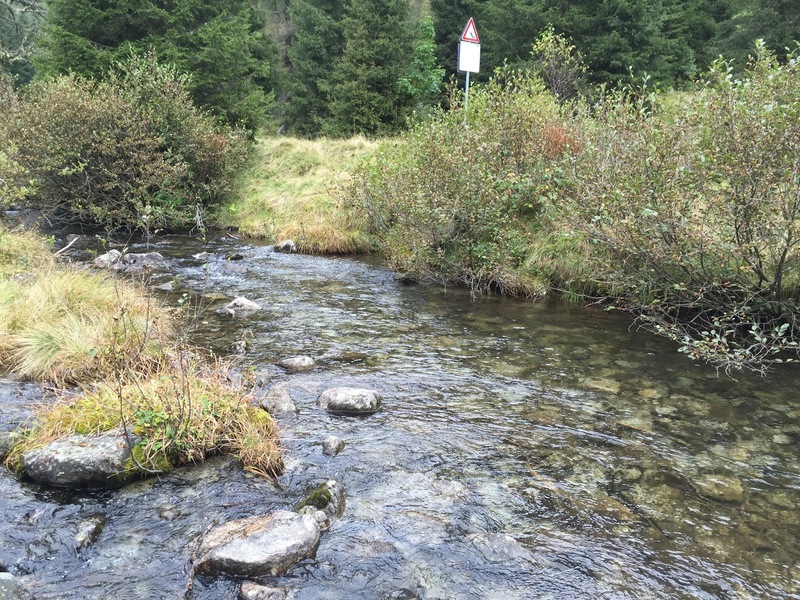 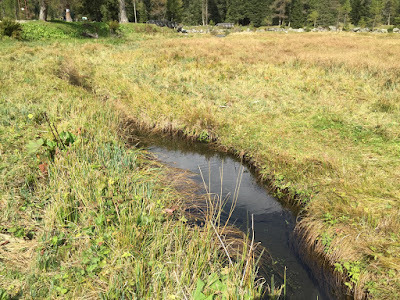 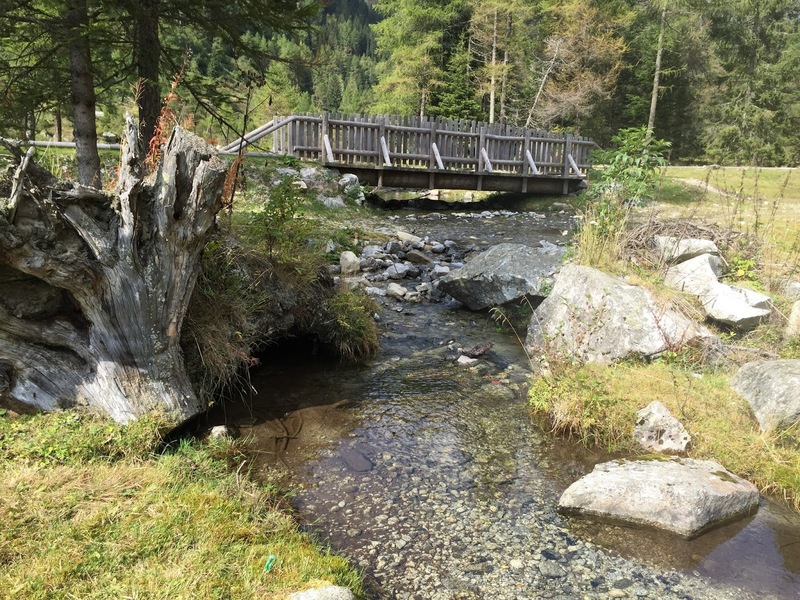 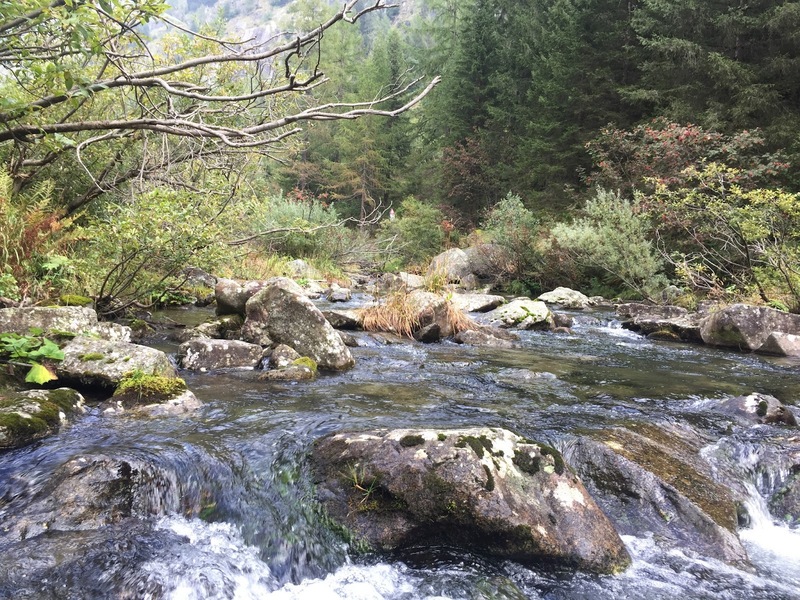 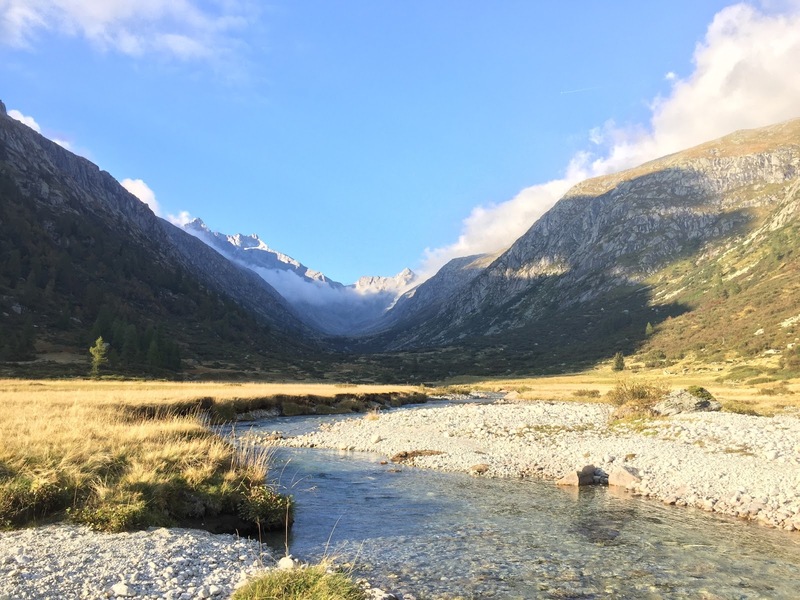 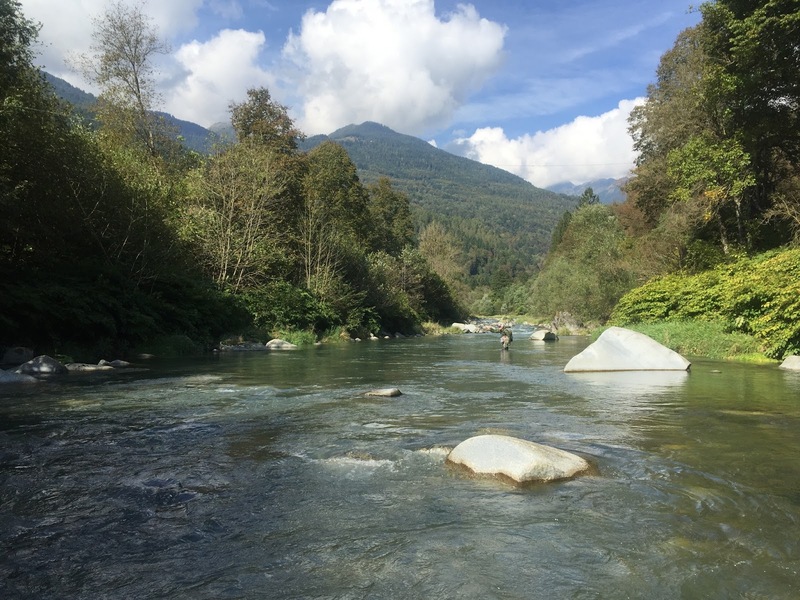 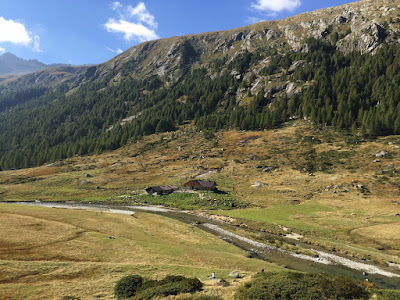 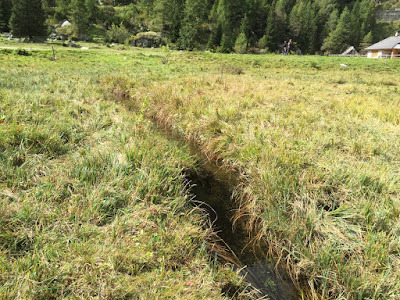 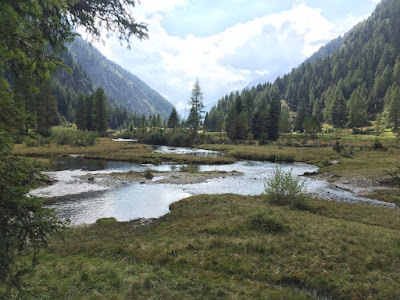 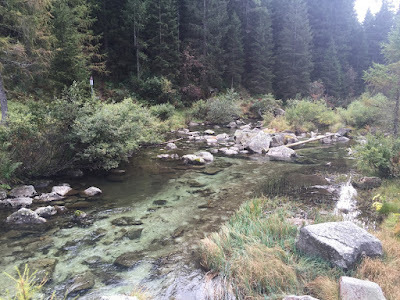 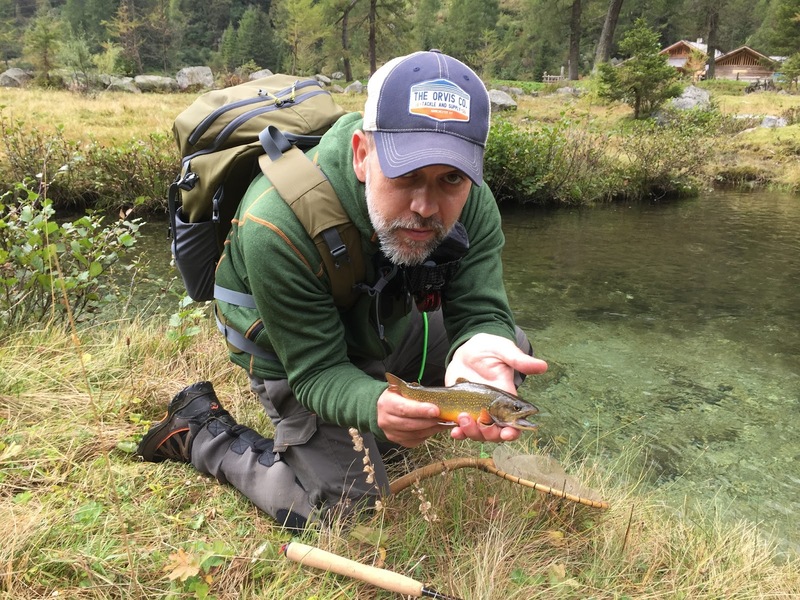 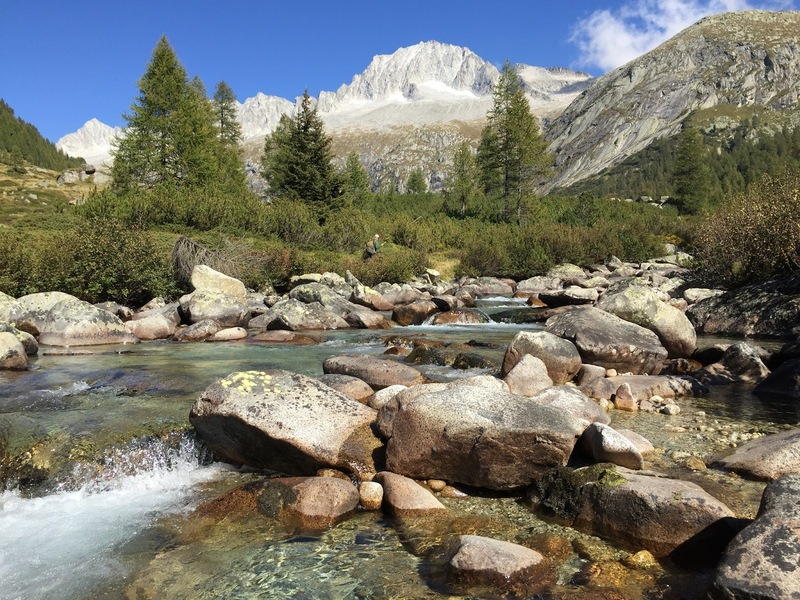 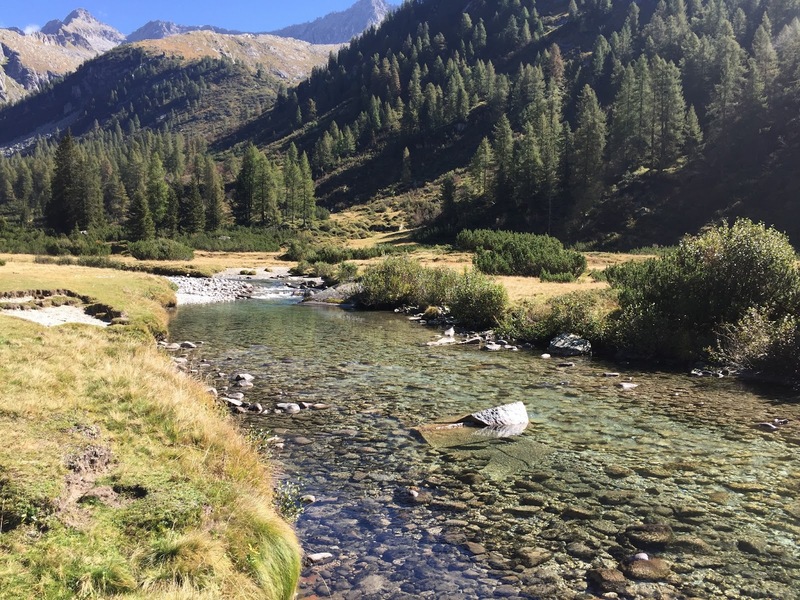 But clearly, the highlight of this trip was fishing up in Val Di Fumo, the very top of the headwaters. The nature and landscape around us was nothing short of stunning and the fishing, as soon as it warmed up, was off the chart. 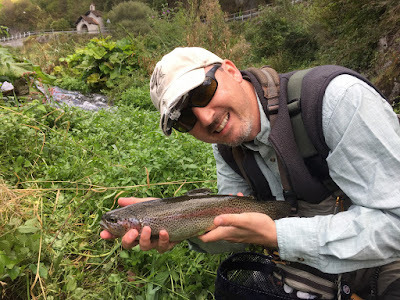 The final day, we had the morning to kill before catching our flight back to London, so we decided to fish close to our hotel, and we didn't regret it one bit! While not the most scenic, this section of river held the biggest fish of our trip. 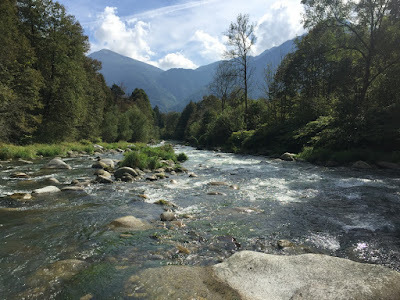 This was one of my most memorable trips and I am already thinking when I can make it back.